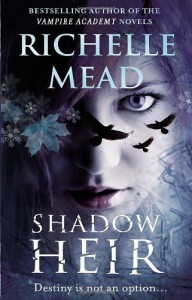 Richelle Mead, why are your books so promising but never deliver? I think this series is the worst in terms of where the story could have gone and character development. Oh and Eugene... gotta be one of the most fustrating female characters with one of the most promising love interests and she treats him like absolute crap.